BSNL launched its affordable tariff Mobile services at Machail Mata Mandir of Machail village in Padder sub-division of Kishtwar District of Jammu Kashmir Circle. State run Telecom Company Bharat Sanchar Nigam Limited (BSNL) started Mobile services at Machail Mata Mandir is located at an altitude of more than 7000 feet above the Mean Sea level (MSL) which comes under Michail village one of the remote village in Kishtwar District. As per latest information, BSNL competent authority taking a motive to extend its Mobile services at remote and high-hill areas where no one can reach to offer better service as well affordable tariff for everyone (common man). 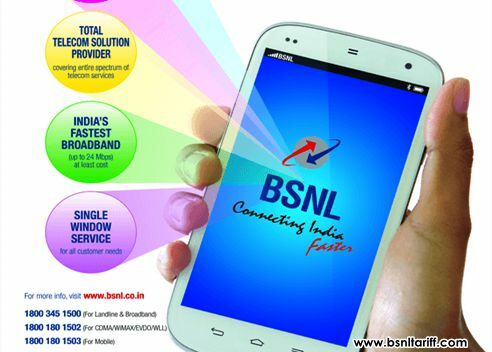 BSNL has its slogan ‘Connecting India’ from Jammu Kashmir to Kanyakumari everywhere to offer high-speed internet services as well mobile services at reasonable rates. BSNL started mobile services in a village where road and electricity connectivity is not available. In a statement on this occasion BSNL Board Director (CM) Shri R.K.Mittal said, ‘BSNL is the only telecom company committed to customer social responsibilities and providing the services to our esteemed customers in these remote areas’. BSNL in the above Machail place is offering mobile services with commitment where pilgrims take two days to reach Machail from the nearest Base Camp i.e at Gulabgarh. More than 30 KMs mountains trekking is required to reach the place. Thousands of pilgrims traveling to Machail temple during Machail Yatra will get benefit from this mobile connectivity. Solar system and generator sets will provide the electricity to the newly installed mobile tower. Kishtware Deputy Commission Shri Gulam Nabi Balwan said, ‘Tower material was dispatched by foot on mules while come material along with six engineering teams was airlifted in a private chopper for erecting and making the tower fuctional for which over Rs.1.50 Lakh was invested by the district administration as carriage and transportation charges’. Michail village people are very much excited after launch of BSNL mobile services in their village and conveying information to their friends and family/relatives about BSNL mobile connectivity offering Prepaid and Postpaid mobile services at affordable rate.